I love to dig deep into the weeds and analyze industry sub-sectors, individual commodities, you name it. But sometimes it is important to “zoom out” and look at the big picture, especially when starting off a new year. 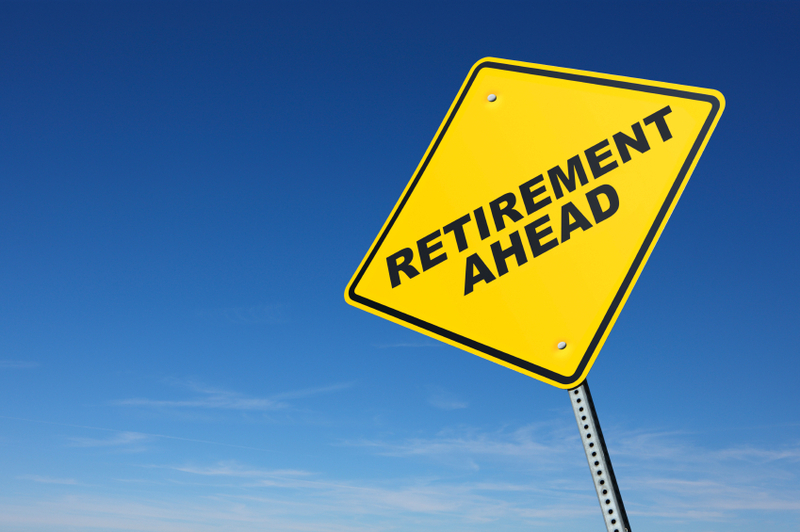 There are many lessons to keep in mind for both our industry and for our personal financial futures. Why do we do this? Why do we invest in the first place? Why do we manage people’s futures, and keep them disciplined? I feel the answer makes a lot more sense visually. Take a look at the first chart below. The final number, nearly a million dollars, seems impossible, right? Wrong! Someone who makes $40,000 a year, and invests 6 percent with a 3 percent company match (sound familiar) would be contributing $300 a month into a retirement plan. 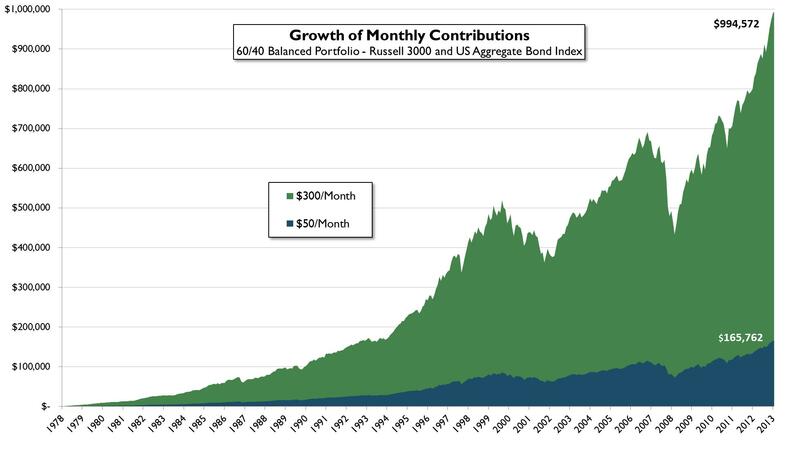 Investing a fixed $300 per month since 1978 in a 60/40 balanced portfolio between stocks and bonds would yield the results below – almost $1 million by 2013. Investing only $50 a month (shown in blue), would obviously yield significantly less. We have the ability to control our client’s futures, the ability to secure a financial future for them and their families. Registered investment advisors have a fiduciary responsibility also; locating investments in the proper vehicle, given the client’s needs, can have a significant impact on their long-term goals. Take a look at the chart below. 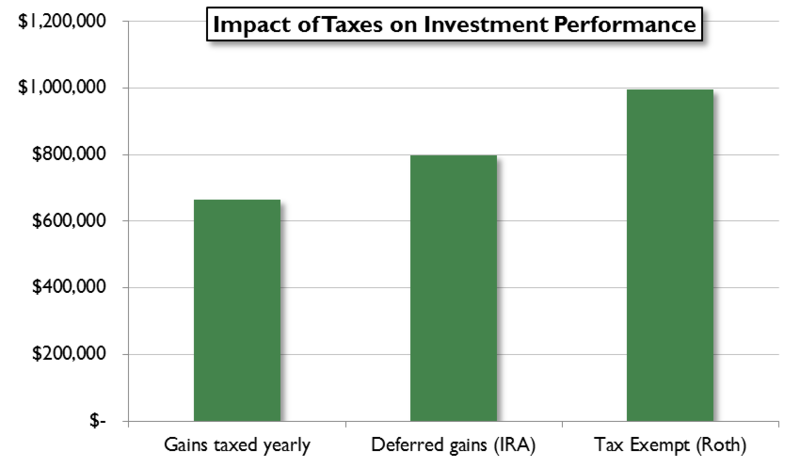 The same return assumption of almost $1 million from above is used, yet showing the impact of taxes. In a nontax-deferred account, such as an individual or joint account, investment gains and dividends are taxed as they occur, resulting in a final value of over $150,000 less (assuming a fixed 20 percent tax rate on capital gains each year since 1978). Something to think about when considering saving for your own future as well! This is why our partnership is so solid. Advisors and Money Managers keep clients focused, determined, disciplined, and, of course, diversified. We speak of staying invested in balanced, diversified portfolios all the time, and it is often hard to see the short-term impact. Take a look at the first chart one last time. Now think about how much money would have been missed out on, if say, a client went to all cash in 2008 – or even at the highs in 2007! The charts and graphs above are for illustrative purposes only. These charts and graphs are not prepared with specific financial information in mind and should not be construed to offer investment advice.